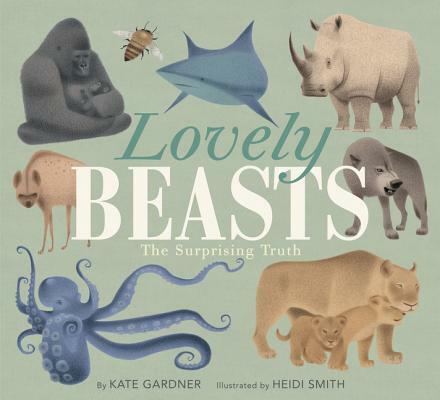 This captivating book invites you to learn more about awe-inspiring animals in the wild. After all, it’s best not to judge a beast until you understand its full, lovely life. Kate Gardner says hello to every animal she encounters, regardless of its reputation. Once, she was even voluntarily shocked by an electric eel named Thor. Kate lives in Somerville, Massachusetts, with three lovely beasts (one of whom is her husband). Heidi Smith is a freelance character designer and visual development artist who graduated from the character animation program at the California Institute of the Arts. She was the character designer and conceptual designer for ParaNorman, and she won an Annie Award for her designs in 2013. She has also worked as a character designer for Henry Selick at Cinderbiter, the Jim Henson Company, and Warner Brothers. Heidi lives in Arizona.